To mark World Down Syndrome Day 2019, Dan Richardson visited Electric Eels Swimming Club, which has helped to transform the lives of young people living with Down Syndrome. In 2008, Pauline Walker founded Electric Eels with a simple ambition – to break down barriers for all children and families living with Down Syndrome. After identifying that some centres didn’t have appropriate facilities, Pauline set about offering a safe environment to teach children with Down Syndrome how to swim. More than 10 years later, Electric Eels – based out of Windsor Leisure Centre – is the only club in the country taking children with Down Syndrome from being absolute beginners to swimming at a competitive level. Electric Eels teach both swimming and synchronised swimming, with many of their athletes competing nationally and internationally. As word has spread, they now have a waiting list – for both swimmers and volunteers. The club’s success is aided by their willingness to let swimmers learn at their own pace and, most importantly, simply enjoy being in the water. “You have to just treat these kids the same as everybody else,” Pauline said. “We try to have a lot of fun because that’s really important. Ezra Khan felt a sense of relief when she discovered Electric Eels, having tried in vain to get her daughter, Molly, to learn to swim. As a child with Down Syndrome, Molly was unable to find a centre where she could get started in the pool but the Electric Eels has now become her second home. “My daughter was a non-swimmer at the time because she couldn’t swim anywhere,” said Ezra, who is now the treasurer of the club. “She started with the club and within one year she was swimming and doing all of the strokes. “Then Pauline Walker recommended she enter galas. After one year, we were going to all the galas around the country and she won medals which was incredible. From there on, she kept on improving. 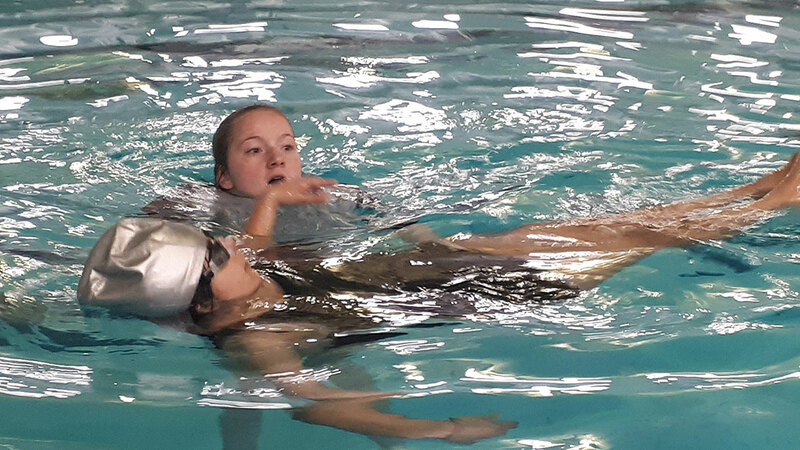 “She’s got so much confidence in everything now – swimming and synchronised swimming. The girl who couldn’t put her head under the water can now go and do synchronised swimming. Last year, Electric Eels was named a recipient of the Queen’s Award for Voluntary Service, while Pauline was awarded the British Empire Medal in the Queen’s Birthday Honours. The club was also named Club of the Year at the Swim England National Awards 2018. For more information on how to get involved with Electric Eels, visit electriceels.org.uk.